He's been mobbed at airports in Asia, whips up an online frenzy in the US and was once called on to talk all things YouTube with former PM Julia Gillard. 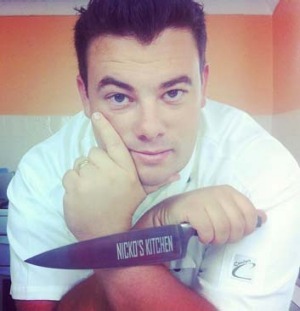 But online cooking star Rob "Nicko" Nixon recorded arguably his biggest success yet when his world-beating YouTube channel, Nicko's Kitchen, hit the 100 million view mark in February. That figure - the total number of views since he launched - is more than four times the population of Australia. And that's just the views on his most popular channel, which has now spawned an entire YouTube network. Large US audience ... Rob "Nicko" Nixon. The 30-year-old father, speaking during a work trip to the US, has proved a cooking juggernaut since he started uploading cooking how-to videos in 2008, not long after YouTube launched in Australia. Nixon, a former Qantas worker at Perth Airport, began following his passion in his spare time. "I've always loved food and I've always loved cooking - on my days off I would film video content and upload it," says Nixon. This was pre-MasterChef - and while YouTube is now ripe with cooking videos, few people were doing it then. Rather than focusing on fancy dinner party food, Nixon wanted to encourage people back into the kitchen by providing recipes that people could cook midweek. "That's generally when people hit what I call 'ding ding' [microwave] food," he says. "I wanted people to get back to basics and cook a simple spaghetti bolognaise, or whatever it may be." Nixon believes he was the first Australian to make a full-time income on YouTube. Sixty-five per cent of his audience lives in the US, and Nixon continues to run his network as a solo operation, putting in 70 to 80 hours a week to earn what's now a six-figure income. His profits come from advertising revenue on YouTube and other brand opportunities. 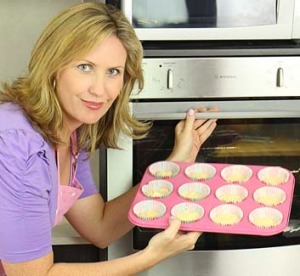 Nicko's Kitchen is Australia's top cooking channel by number of subscribers (640,000), followed by How to Cook That (505,000) and My Cupcake Addiction (477,000). Shane Treeves, a spokesman for YouTube Australia, says Australian cooking channels are showing "explosive growth". "For every view of an Australian-made video in Australia, there are nine views overseas," says Treeves. "There is a huge appetite internationally for Australian-made videos. Treeves says some Australian cooking channels, such as Bondi Harvest, appeal partly because they're filmed in front of an iconic setting. Many have a focus on Australian-made, fresh produce. Generally, Treeves believes people enjoy watching cooking videos because they're easy to follow at home, showing viewers step by step how to create a dish. Amateur cooks get to go at their own pace, pausing and rewinding. Treeves says viewers value high quality, interesting and detailed videos, and mega-popular channels such as Nicko's Kitchen have generally built a loyal subscriber base over many years. 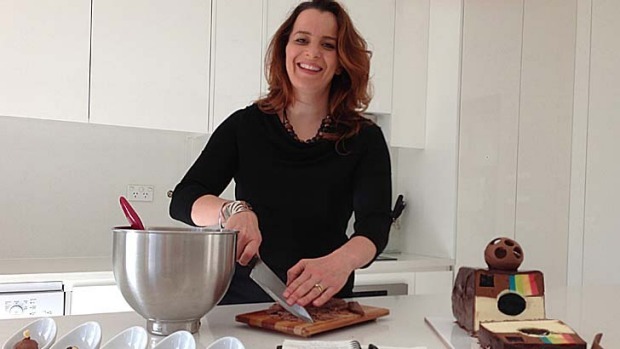 Sydney's Ann Reardon is a qualified food scientist and dietitian, and launched YouTube channel, How to Cook That, about two years ago. She'd begun blogging the year before, typing with one hand while feeding her unwell baby son every three hours. Reardon soon found her YouTube site growing - albeit slowly at first - as she created decadent desserts, cakes, chocolate and sweet snacks. Popular among teenage girls, How to Cook That's most watched video to date is an Instagram-inspired chocolate mousse dessert that has garnered more than 3 million views. It takes Reardon, who now makes a decent full-time income from the site, about six hours to film and eight hours to edit each video, while her husband handles the streams of emails. Former flight attendant Elise Strachan has also enlisted the help of her husband in response to the growing success of her YouTube channel My Cupcake Addiction. Posting three videos a week, she has also recently branched out to offer Spanish and Japanese voiced videos. The Gold Coast mum originally became a cake decorator with dreams of opening a cupcake shop. That proved too expensive, so she instead started selling at local markets, reinvesting the profits into her own education. "We realised pretty quickly that cake decorating courses were incredibly expensive." She posted her first video on YouTube at her husband's suggestion, a Cookie Monster cupcake demonstration that "went really, really well for a first video". Now her channel is attracting 7.5 million views a month, or roughly 250,000 views a day. That makes My Cupcake Addiction the third most popular baking channel in the world, and the world's largest online cake decorating school, says Strachan. Strachan's most popular creation to date is a cupcake in the shape of a stiletto heel, which has been seen 3.93 million times and counting. She and her husband now spend 80 hours between them on the channel each week. However Strachan, who took a year to start making "reasonable" money, warns "it's certainly not the sort of thing where you would want to quit your job and start tomorrow". And should cupcakes ever go out of fashion, Strachan suspects she'll already know all about it. "I'm constantly diversifying my content - making sure I'm one step ahead of my viewers." Rob Nixon: Film what you are passionate about and love to do. Don't start cooking videos if you can't cook or don't enjoy it. People will see right through you. Ann Reardon: Make sure it's something you love. Once you've started that niche, you can't just swap halfway through. You need to know more about it than most people. Elise Strachan: You want to make sure whatever you're doing is something you're interested in. If you're interested in it there's a fair chance someone else will be as well. Are highly professional videos important? RN: Do you need an entire film crew? No. But you still want your content to look great. But only use equipment you can afford to buy, don't go splashing cash on high-end equipment for content no one will see. Build your audience first, then gradually step up the equipment. AR: It can't be bad – it needs to be edited so there's not lots of dead space – but it doesn't have to be TV camera quality. Most people are watching on their mobile phones. ES: Not at all. I think YouTube's one of those environments where you can film it on your iPhone and still be incredibly successful. As long as you can hear what the person is saying it doesn't matter about the quality of the video. RN: Understand that something popular here may not be in the US or elsewhere. Research your audience and where they come from, and of course always ask them what they want to see more of. AR: Be aware that it's international, that there are different measurements and ingredients. Let people know: 'OK you can use this instead of that'. ES: Always stay on top of worldwide holidays and global trends, and things like movie releases are really important. RN: Work hard, learn your craft and create compelling content and your audience will come. Your profile will build around your success on the site. AR: Try and do good, unique content that people haven't seen elsewhere. Think about your audience. ES: Collaborate with other channels. And the more videos you put up, the more chances that you have of being seen.